Should you make an error in your purchase choice please contact us (email) info@lawnmowerservices.net or call 0131 447 3706 as soon as you can so that we can cancel the transaction for you. If you wish to pay for your purchase via credit card then please call us on 0131 447 3706. We do accept payment via cheques but the goods will only be despatched once the cheque has been cleared. All of our prices are inclusive of VAT. As a VAT registered company we will provide a VAT invoice. We send all our items from our own premises in the Morningside, Edinburgh. Our main delivery partner is Royal Mail but depending on the size and weight of your parcel will depend on how we despatch your item. If your order is urgent please contact us by telephone on ol31 447 3706 and not by email as this may delay the process. Delivery times can vary but we aim with the help of our delivery partners to have your item to you within 3 working days, very often we note from our feedback that delivery was made next working day. We aim to process and ship all orders within 1 working day of receipt of payment if made before 3pm (Monday to Thursday, excluding bank holidays). Up to 2pm on a Friday. 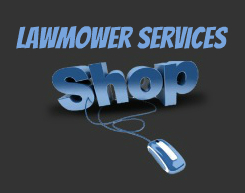 Should you make an error in your purchase choice please contact us (email) info@lawnmowerservices.net or call 0131 447 3706 as soon as you can so that we can cancel the transaction for you. If you wish to pay for your purchase via credit card then please call us on 0131 447 3706. We do accept payment via cheques but the goods will only be despatched once the cheque has been cleared. All of our prices are inclusive of VAT. As a VAT registered company we will provide a VAT invoice. Faulty/Damaged items must be reported to us within 14 days of receipt. Goods not required can be sent back up to 60 days after the sale but must be in saleable condition & returned in original packing for a refund. Buyer pays for return postage. In all cases contact us first for a returns number which must be sent along with a copy of the invoice with the goods otherwise this may delay us in dealing with your enquiry. Once you have committed to buy from us you are binding into a legal contract. So do not buy unless you intend to complete the purchase. *Any product purchased on-line will be supplied & boxed with manufacturers assembly instructions. We aim to dispatch all orders within two days of the order date and an email will advise you when the order has been shipped. We use the Royal Mail (which will always require a signature). We are unable to ship large packages to the Isle of Wight, Isle of Man, Highlands and Islands of Scotland, Channel Islands, Northern Ireland and Outer Hebrides. However, we can ship small items under 2kg via Royal Mail to all UK postcodes, excluding the Channel Islands.